This sleek and sporty water-resistant fitness tracker helps you stay on the pulse 24/7, with continuous heart rate monitoring, advanced sleep tracking and Polar’s unique workout features. Your ultimate training buddy and keen supporter of active lifestyle outside the gym too, Polar A370 helps you train at the right intensity and reminds you to get up and move if you stay put for too long. Learn how your heart behaves in the twists and turns of your everyday life. 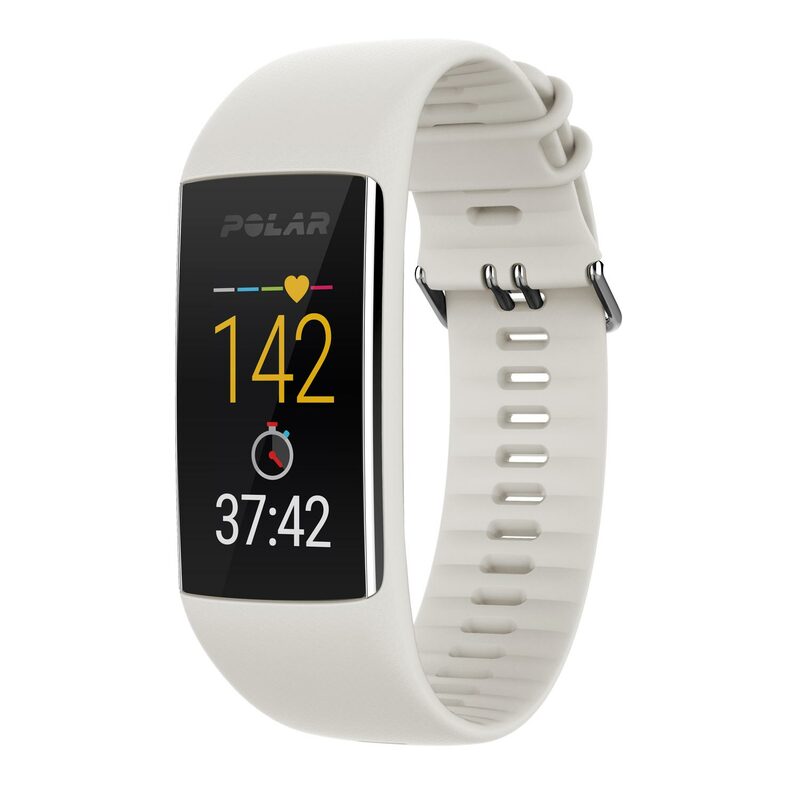 Polar A370’s wrist-based heart rate monitor tracks your heart rate 24/7, so you’ll get a complete overview of your daily activity. Sleeping well is vitally important to your health and well-being. Polar’s advanced Sleep Plus™ sleep analysis makes you an expert on your own sleep and helps you towards a more balanced lifestyle. When you train outdoors, Polar A370 uses your phone’s GPS signal to track your pace and distance and to map out your route. When you run on the treadmill, Polar A370 tracks your speed and distance from your wrist movements. It does that outdoors as well, so you don't need to carry your phone with you on your runs. When you don’t have time to check your phone, Polar A370’s phone notifications keep you in the loop. Track your activity, analyse your progress and achieve more with Polar Flow – the complete fitness and training platform available on desktop and mobile. You can also automatically sync your training data to other services such as Endomondo or MyFitnessPal. The training diary in Polar Flow stores and visualises all your workouts and stats. There are 100+ sports available, including LES MILLS workouts. Plan your workouts, follow your recovery and find the balance for training and rest. Track your daily activity and sleep, see your daily, weekly and monthly summaries and learn about the health benefits of your daily choices. Stay on the pulse with 24/7 heart rate monitoring and get a comprehensive view on how your heart behaves during your day. Stay on the move every day. Polar A370 gives you a personalised daily activity goal that motivates you to keep moving throughout the day. Polar Activity Guide shows you how active you’ve been and gives you practical tips on how to reach that 100%. Polar’s advanced sleep tracking technology gives you insights to your sleep. It monitors your movement with extreme precision to give you a comprehensive overview of your sleep. Keep track of the calories you’ve burned. You’ll be able to see the calories burned during each training session and for the whole day. The continuous heart rate measurement combined with 24/7 activity tracking make sure your calorie burn is measured accurately and reliably. Learn more about the effects your training has on your fitness. 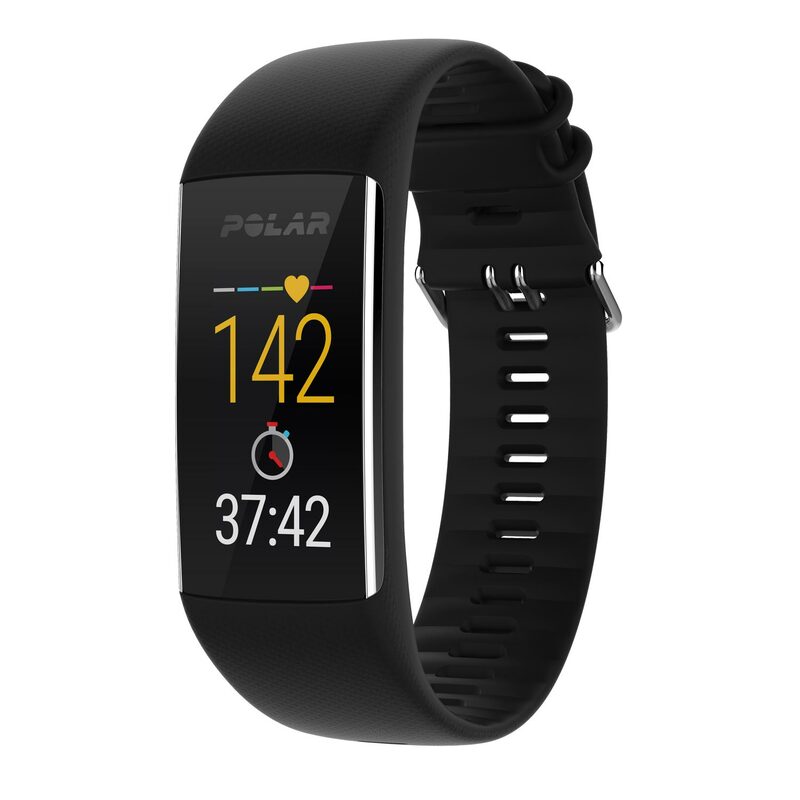 Polar A370 gives you feedback right after each workout and tells you how your workout benefits your body. Join forces with your phone to get all the data you need. Polar A370 uses your phone’s GPS signal to measure speed and distance and to map your route for your outdoor sports. *) In some sports we recommend a heart rate chest strap for optimal accuracy. Read more about wrist-based heart rate measurement here. You choose how you move. Choose your favourite sport profiles from a list of over 100 sports and add them to your Polar A370 to get the relevant data to the screen of your Polar A370 when you work out. Sport profiles also help you to keep track of your training log in Polar Flow. 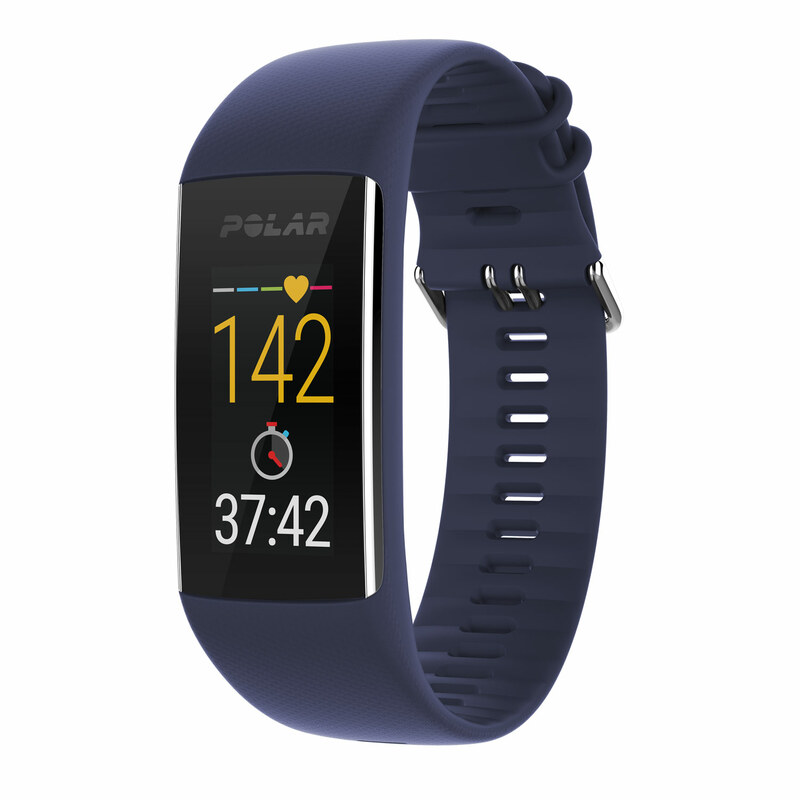 Polar A370 keeps you connected with notifications from your phone. You’ll get alerts for incoming calls, messages, emails and calendar events. Sitting for too long is bad for your health. If you stay still for too long the Polar A370 vibrates to make sure you take those important active breaks. Not a fan of running with your phone? When you go for a run without your phone or jump on the treadmill, Polar A370 tracks your pace and distance from the movements of your wrist. Plan your workouts in Polar Flow and sync them directly to your Polar A370 to get guidance throughout your session. You can save your workouts as favourites on your Polar A370 and do them again whenever you want. Train for a running event with a personal and adaptive training plan in Polar Flow. Choose from four different targets, 5K, 10K, half marathon and marathon, and get a training plan that fits you and your goals. Plan your individual workouts, sync them to your Polar A370, and then let it guide you through your sessions. Get to the heart of your performance with the extensive training analysis tools. Share your training data with your PT or coach with the free Polar Flow for Coach service. Share your highlights, join groups and let the Polar Flow community help you on your way to your goals. Full colour touch display, size 13 x 27 mm, resolution 80 x 160. 110 mAh battery. Battery life up to 4 days with 24/7 activity tracking (without phone notifications) and 1 hour of daily training. Bluetooth Low Energy. Micro USB cable for charging and data synchronization. Time & date. Vibrating alarm with snooze. Compatible with Polar Bluetooth Low Energy heart rate sensors.